Dr. Ezzeldine works at the Los Angeles County Office of Education where he supports development of Transitional Kindergarten programs across Los Angeles County’s 81 school districts. His work with teachers and administrators ensures that children in this 2-year Kindergarten program are engaged in developmentally appropriate practices, interactions, and environments. Dr. Omar Ezzeldine has been an educator for nearly 20 years and in that time he has served as a teacher and a principal for both public and private schools, including Islamic Schools. He earned his doctorate from UCLA in Educational Leadership and has since worked nationally and internationally to support schools in their development, particularly in the area of increasing student achievement and in developing effective school leaders. 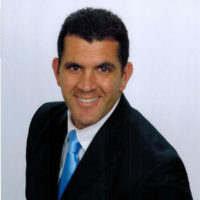 Dr. Ezzeldine is currently at USC’s Rossier School of Education. In addition to teaching in the school’s Master of Arts in Teaching and Master of Arts in Education programs, Dr. Ezzeldine serves on the Academic Senate and participates on the Part-Time Faculty Development Committee where he helps develop strategies and policies to support of our part-time faculty. He has taught at USC for 4 years and has helped develop several courses in the Master of Arts in Teaching program. Dr. Ezzeldine is an expert in the areas of teacher development, data-driven decision-making, and school leadership. Dr. Omar Ezzeldine was appointed Principal of the Emirates National School from 2013-2015 in order to bring his knowledge and expertise to a different part of the world. His focus has been to develop teacher leaders, increase student achievement, and engender a culture that values education as a gateway to civic and international engagement. Dr. Ezzeldine’s graduate research focused on school culture and its effects on teacher retention. 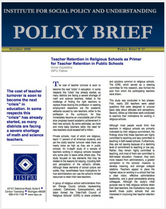 In this context of high teacher turnover and an increase in teacher retirements, his research is showing a strong impact as teachers stake greater shared interests in their school.